In the three days since the government declared a state of public emergency in Mayflower and George Street areas, masked law enforcement officers have barged into the homes of residents in search of gang members. According to Acting Commissioner of Police Chester Williams, they know who the ‘players’ are and it is those persons who police will go after. And that is what exactly happened with Christopher Witzil, a known Mayflower gang affiliate. 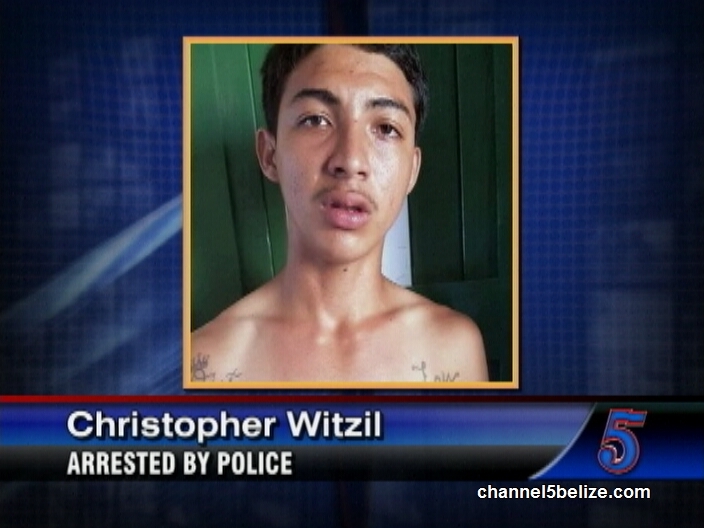 Witzil, in an attempt to escape the police’s dragnet, was in Placencia when he was arrested and is in police custody. Witzil is no stranger to the law. In March of this year, he appeared in the magistrate’s court after he was arrested and charged on for the attempted murder of Tyrick Myles, Derrick Pineda and Natisha Tillett who were injured in a shooting on March twenty-fifth on Mopan Street, Belize City. Witzil is not the only one who attempted to avoid being arrested for up to thirty days. There are reports that gang members of both areas have also been fleeing the city. A group of men, believed to be gang members, was seen alighting a bus in Benque Viejo Del Carmen on Thursday; others have been spotted up north in Corozal.